Blues Enthused: Listened to lately . . .
Time to catch up on a couple of albums from the last year that slipped by without any Blues Enthused comment, but first of all a new single from a familiar name. 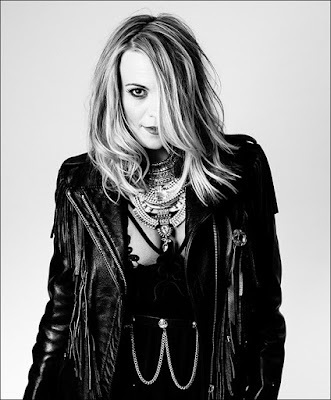 much more in Jo Harman territory, vocally and stylistically. Co-written with Sam Tanner of Brother Strut, ‘Control’ kicks off in the vein of a modern work song, over a steady, throbbing drumbeat, while Marriott’s voice swoops and soars over it. Gradually the tempo picks up, some impressive backing vocals add depth, and a gritty guitar solo puts icing on the cake. ‘Truth Is A Wolf’ is a slower, haunting effort with a bluesy edge, on which Marriott demonstrates excellent vocal control as she imitates a wolf-like howl – in an entirely musical fashion, I should make clear. These two tracks from Ms Marriott represent a promising overture for the album to come. Truth Is A Wolf is released on 3 November. Mollie Marriot tours the UK supporting Bad Touch in November and December. Floridian Selwyn Birchwood’s first album Alligator album in 2014, Don’t Call No Ambulance, was a strong calling card, and if anything this follow-up released back in May is even stronger. ‘Trial By Fire’ kicks off the album with Othar Turner-like fife and drums as an intro to a distinct air of hypnotic North Mississippi hill country, a slitheringly convincing first stop on a tour of blues styles. Birchwood’s lap steel guitar gets a rollicking workout on ‘Guilty Pleasures’, while they do a nice mash up of funk and a reggae beat on the title track, and ‘Reaping Time’ follows in an old blues tradition - the solemn contemplation of death. It’s all drawn together by Birchwood’s gravelly voice, and a meaty sound bolstered by the sax playing of Regi Oliver. Musically the material is both original and mature, and Birchwood also has a knack for a lyric, getting fiery with the political statement of ‘Police State’, and witty on the likes of the gospelly, N’Awlins-tinged ‘Even The Saved Need Saving’. No two ways about it, Selwyn Birchwood is a rising star. I bought Fantastic Negrito’s latest offering last year, but somehow it slipped my mind for ages afterwards. Which is a shame, because it’s as adventurous an affair as his earlier Fantastic Negrito Deluxe EP, reviewed here back in 2015. Multi-instrumentalist Negrito allies old blues stylings – going all the way back to the haunting traditional folk song ‘In The Pines’, popularised by Lead Belly among others – to loops and beats to create something that may not be unique, but manages to sound old-fashioned and modern at the same time. If truth be told he overdoes the work song notion a bit, but there’s still plenty of mileage in the rock steady bass and drums, falsetto vocals and keyboard trills of ‘Working Poor’, the cantering syncopation of ‘Scary Woman’, and the Prince-like juddering staccato of ‘Hump Thru The Winter’. Reprised from the EP, ‘Lost In A Crowd’ veers from tense stomp to wistful refrain, while ‘Rant Rushmore’ goes the other way with a fragile verse belying bitter, twisted lyrics before crashing into a heavy chorus. Fantastic Negrito may not have quite cracked the formula yet, but he’s got enough going on to give Gary Clark Jnr a run for the money in the blues-meets-beats stakes.